Make lessons come to life with the simple touch of a finger. 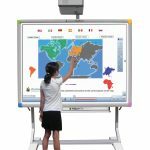 Touch Board Plus is a pen-and-finger interactive whiteboard that provides multiple ways to solve problemsm write sentences and draw pictures for a more engaged learning experience. 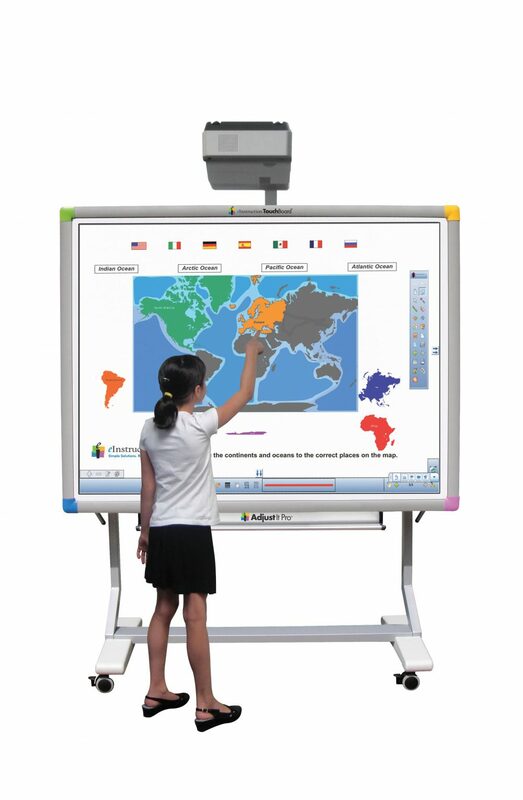 High-resolution technology offers clear and concise accuracy in writing, diagramming, annotation and lesson delivery. Award-winning WorkSpace software powers the Touch Boards Plus, enabling students and instructors the opportunity to write, diagram, manipulate and annotate over content. Incorporate response systems for quick assessments. Display questions on Touch Board Plus and students can interact and respond with clickers or mobile devices, allowing for immediate review and discussion of results. Enhance the functionality of Touch Board Plus with a Mobi View device. Mobi View provides educators the freedom to move around the room for greater interaction and engagement. Control and annotate content through a mobile touch screen. Combine with Mobi Learners to increse participation and allow up to nine students to display work at the same time, from anywhere in the room. The AdjustIt 3 stadn to install and provides Touch Board Plus with exceptional mobility from class to class and around the room. Superior flixibility enable presenters to adjust the board to any height. AdjustIt 3 includes a video projector adapter and is available in wall-mount or floor stand.